The beautifully colored loggerhead is named for its oversized head that sort of looks like a big log. Loggerheads have very powerful jaws that are used for crushing prey like conchs, horseshoe crabs, and other animals with hard shells. They also eat softer foods like jellyfish, fish, seaweed, and a brown algae called sargassum. Loggerheads are found all over the world, except in the coldest waters. 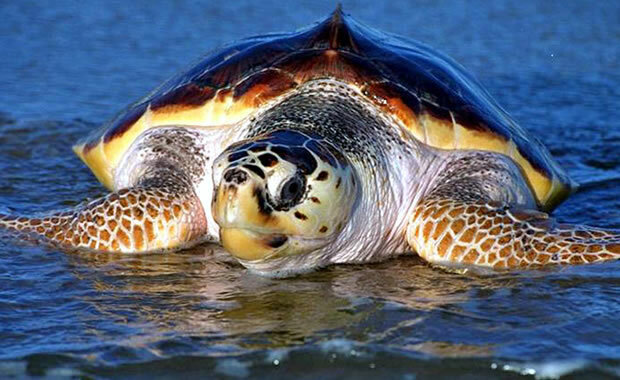 There are more loggerheads in the waters of the United States than any other species of sea turtle.